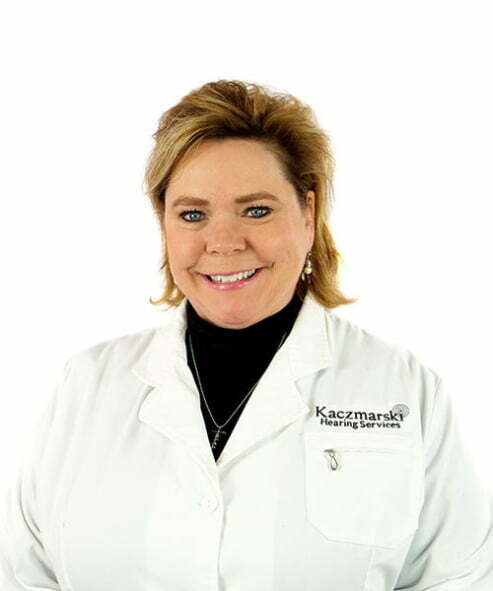 I’m Doctor Beckie Kaczmarksi and I’m the owner of Kaczmarski Hearing Services. When every patient walks in the door at Kaczmarski Hearing Services I want them to feel very comfortable and at ease. We are a private practice which means we will take the extra time to get to know you and learn what your individual needs are. It’s very important to us to spend extra time with you to learn about your lifestyles. We don’t just sell hearing aids we provide treatment for improved hearing for all lifestyles and budgets, and that’s what is most important to me and my entire staff. Scouring the internet for an entry level hearing aid? How do you know which one is for you? How do you know if they’re any good? Kaczmarski Hearing Services can help. If you have mild hearing loss the Widex Dream 110 hearing aids are a great affordable solution for you. Starting at just $380 each and the audiologists at Kaczmarski Hearing Services will expertly match and fit the correct hearing aid just for you. Skip the searching and let the professionals at Kaczmarski Hearing Services find the right solution for you. Being in the audiology field for the last 25 years we’ll share our expertise and knowledge through our podcast. Listen as we discuss the latest hearing technologies, debunk common hearing myths, and answers the most common questions we get on a day to day basis. Hearing loss should not make you miss out on the many important messages of life. Let us help you find the perfect hearing aid. Kaczmarski Hearing Services offers both evaluation and treatment of tinnitus. We will carefully evaluate your otologic and hearing history and help you find the Tinnitus treatment that you need. Watch our team on YouTube! Kaczmarski Hearing Services has been blessed with such an amazing staff. Watch our channel as our audiologist dive into the latest industry updates. Our ears are among the body’s most complex organs however, hearing loss can be an invisible problem. Most hearing losses occur gradually so the signs of hearing loss are difficult to notice. Click to learn more about signs, causes, and types of hearing loss. Try before you buy! When you come in to Kaczmarski Hearing Services for a consultation you may be qualified for our free lunch and learn. Click for more info on our lunch and learns as well as our ongoing promotions. You may feel embarrassed over misunderstandings or needing to ask “What?” too much. You may find it difficult to understand what people are saying on the phone because you cannot see them. You may be distracted by high pitch or roaring noises in your head. Tinnitus is a common sign of hearing loss. You don’t have fun at family gatherings because everything is too loud. You may feel frustrated or isolated even though you are surrounded by your family or friends. The family complains your TV or radio is too loud. You may feel like things are loud enough but you are missing the beginning and end of words which can make things sound muddy and muffled.